We created a striking folder design that helped position our client as a company at the helm. 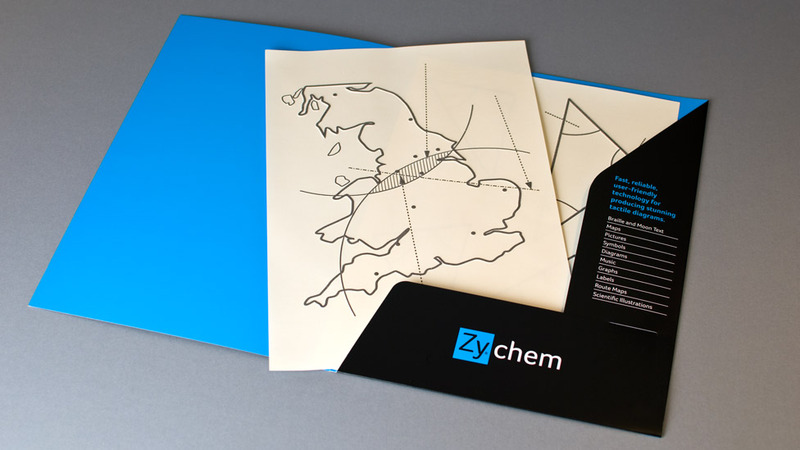 To complete the new brand design and suite of sales literature, we produced an A4 folder design for innovative product development company Zychem for use as either a corporate information or product folder. The printed folders feature a matt-laminated finish on the outside, giving them a contemporary and professional feel, and the inner is printed full-bleed with the distinct corporate blue. Not only did we do the folder design, we also printed and delivered them made up to the client, ready for them to use as part of their marketing. “I would like to thank Parker Design for their excellent work in creating our new brand. We had already worked with Smart Money in the past. This time, we helped our client remain relevant in a constantly evolving market with a striking brand design refresh that allowed Smart Money to appeal to a wider audience. United Utilities had been working extensively on their business plan and asked our print design team to produce a corporate folder and inserts with a central pocket, to hold a number of data sheets to use as an employee communications pack. When your document contains a lot of information and you need the flexibility to update it frequently and cost efficiently, a simple ring binder design is the perfect solution. And our print design specialists delivered just that.